In this exciting book, Elder Scott offers 21 principles distilled from his life experiences. These “concentrated truths” will help you understand more fully how to be guided by the Spirit. Elder Scott's brief explanations open the way for your own discovery and exploration. “I bear witness that Jesus Christ knows you personally,” Elder Scott writes. “He will provide answers to every difficult problem in your life as you trust Him and do all you can to understand and apply His doctrine and strive to live by the Spirit.” 21 Principles will be a valuable tool in that quest. This book is so POWERFUL! "As you seek spiritual knowledge, search for principles. Principles are concentrated truth, packaged for application to a wide variety of circumstances." My favorite is the story of where Elder Scott took 100 little circles and wrote a message one word at a time to his wife. Then he scooped them up and put them in an envelope hoping to get a laugh from his wife. After his wife passed away Elder Scott found these little circles carefully pasted onto a page where the message could be enjoyed over and over again. You can just feel the love Elder Scott has for his wife. Each principle if studies and applied will bring you greater happiness. "I testify that as you are prayerful and seek the guidance of the Spirit, you can identify over a period of time important things the Lord wants you to accomplish....There may be some challenging growth experiences and some sadness, but your life will be crowned with success and joy." Elder Scott helps you to see things through and through..so many insights to one thought, and he gives so many! It helps a person to actually understand our choices On a whole new level. Full of great thoughts to incorporate into our daily lives. Truly "rich" and thought provoking. Well worth rereading again and again. I read this book through the course of several days and was inspired by all the messages. A reviewer before me expressed a feeling I had throughout the book: every sentence is full of inspiration and help to all who are seeking to live a life directed by the Spirit. 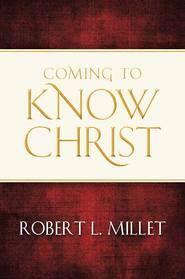 I plan to read it again and ponder each of the principles set forth by this wonderful apostle who lives as he writes. Every single sentence has something to teach. I HIGHLY recommend this book. I read it straight through cover to cover, but it definitely warrants more careful and deliberate study. Every single sentence has something to teach. I think this is an invaluable tool for learning how the Spirit speaks to us individually and suggestions on being more receptive and aware of the promptings we receive to guide and direct our choices and life. Excellent Insight on finding your path in life. 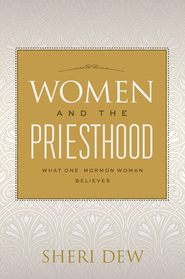 I just finished reading this and all I can say is--Talk about a wonderful collection of some of the most powerful lessons ever shared by Elder Scott. This book is very timely in that he addresses a question many face, "How can I make the right decisions for myself and live a full life?" 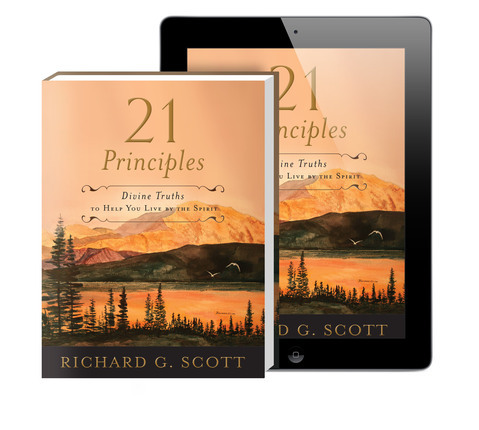 21 principles helps you find ways to discover the answers for yourself. Using wonderful examples from his own life, Elder Scott brings wonderful guidance that is applicable to anyone's circumstance. You have a divine path. If you exercise your agency by choosing to include the Spirit in your life using the principles taught in this book, I promise that you'll feel added power to do what is right and you will find the answers that you are seeking after. 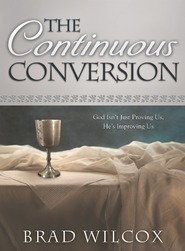 I enjoyed reading this book because it was very positive and had simple principles that I can easily apply in my life. Elder Scott uses some of the stories he has used in various General Conferences, and some new ones. It is helpful to have his personal insight of how to apply these principles. It can be a "quick read", but is also one that allows you to read a chapter at a time to think and ponder what is being taught and how to apply it. These are not new ideas, but very needed and simple to make "great" changes in ones life. I especially enjoyed reading the chapters about the roles of men, and the roles women. 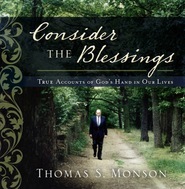 This is a perfect companion to Elder Scott's other book, "Finding Peace, Happiness, and Joy. We are taught how enlightening life can be if we live obediently. Thus, allowing us a life full of the Spirit and a life blessed with the blessings we are promised. A wonderful read! As we seek for spiritual knowledge and growth we are searching for principles to guide us along our way. Elder Richard G. Scott of the Quorum of the 12 Apostles calls these principles "concentrated truth, packaged for application to a wide variety of circumstances. A true principle makes decisions clear even under the most confusing and challenging circumstances." Elder Scott has put forth tremendous effort to gather all of the principles he has learned and provide them for our personal study... He continues, "Principles are anchors of safety...They will help you have confidence in new and unfamiliar circumstances. They will provide you protection in life's storms of adversity." We can reach worthy goals and objectives when we stick closely to correct principles and this book can provide a starting point in your personal scripture study! There are, obviously, 21 Principles of study each with scriptural truth, historical background, personal stories, and how to follow this principle in todays world. One of the best parts? Each chapter ends with a real awesome "you can do this" pep talk! Not to be missed: The Conclusion. It is Elder Scott's testimony - don't skip this part! It is humbling and motivating. This was a great read!